Are you stuck on the side of the road with a flat tire? Cars Towing provides 24/7 emergency roadside assistance with expert care. It’s impossible to predict when you might need to have a flat tire changed. The most convenient thing about us is that we do all the heavy lifting for you! Our roadside crew will have that pesky flat changed in less than fifteen minutes. We’re the emergency roadside assistance team you can fully depend upon! Roadside assistance involves getting to the scene as quickly as possible. We work together with the best roadside specialists that are dedicated to your safety. Timing means the world of difference when you’re out there waiting to go home. A dead car battery can keep you stalled for quite some time. You won’t have to drag your vehicle to a nearby auto body shop to have the battery replaced since we come directly to you 24/7 to assist! Cars Towing offers the best in all roadside assistance services, which includes; 24/7 emergency towing, accident removal services, flat tire change, dead battery replacement, jump start services, out of gas refueling services and 24/7 auto locksmith. We can connect you with a top quality locksmith if you need any type of chip key programmed or replaced. If you’re running near empty on fuel, we can stop by to refill the tank right away, so you won’t have to push your car any further. The key issue is your safety. We work under strict safety standards, never placing you at risk during the roadside assistance services. You should make a checklist and prepare yourself in advance to avoid any potential roadside emergencies. Always make sure you have sufficient fuel in the tank and bring your car into a professional auto repair shop for a complete vehicle inspection in advance. Problems can be spotted early on, which can save you a bundle down the line. Although you should always take preventative measures beforehand to avoid roadside emergencies, it’s also important to have a trustworthy roadside crew at your service 24/7. We’re always ready to change a flat at night, replace a dead car battery and provide the best in all aspects of quality roadside assistance. 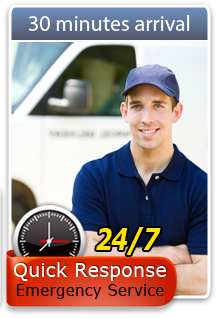 Give us a call anytime for 24/7 roadside assistance.